Meredith College will feature Love and Theft as the headliner of the College’s 2013 “Sizzlin’ September” concert on Friday, Sept. 20 in Meredith’s outdoor McIver Amphitheater. Singer Canaan Smith will open the show. 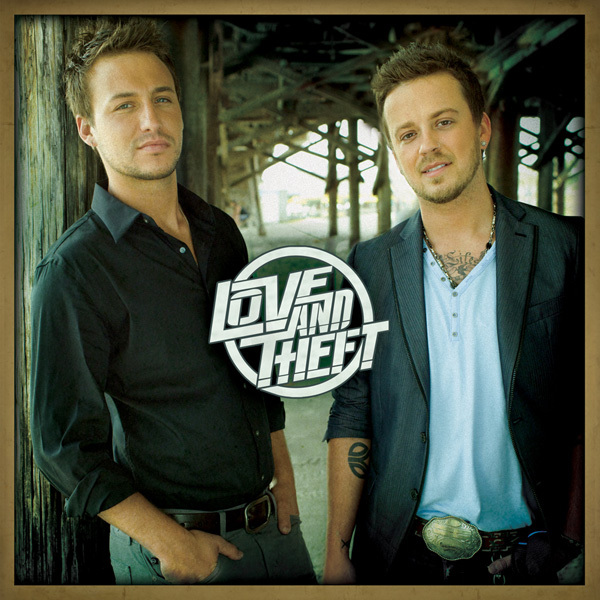 Love and Theft is the Academy of Country Music (ACM) nominated country duo of Stephen Barker Liles and Eric Gunderson. The duo shares lead vocals, harmonize like a church choir, and bolster their songs with their own guitar playing. With a renewed emphasis on organic sounds, their 2012 self-titled second studio album, has brought Love and Theft closer to what it set out to be: a band that writes, records and performs honest, soulful country music. Possessing a distinctive voice that combines a breezy cool vibe with heart-on-his-sleeve emotional honesty, Canaan Smith has emerged as one of country music’s most compelling new artists. As an opening act for Sugarland, Dierks Bentley, Darius Rucker and others, he’s earned a loyal, enthusiastic fan base. His music is realistic and honest, yet with a deep undercurrent of hope that reflects the young artist’s view on life. The show is the ninth annual “Sizzlin’ September” concert to be held at Meredith. The concert is sponsored by the Meredith College Campus Activities Board. Gates open at 7 p.m. for the show, which will begin at 8 p.m. Rain location is Dorton Arena on the NC State Fairgrounds. On the day of the show, all traffic should enter the Meredith campus from Hillsborough Street. Alcohol, coolers and outside food and drinks are prohibited at the show. Food and drinks will be available for sale at the concert. Alumnae and public tickets are $8. Tickets can be purchased in 202 Cate Center or online at http://www.brownpapertickets.com. For more information, email cab@email.meredith.edu or call 919-760-8338.